Identifying the right Chinese supplier may take lots of time. With a quick internet search you can find dozens of pages with various manufacturers. But how could you know who to trust, when you are in Romania and they are in China? Obviously, you need to find out reliable information about them before deciding who is the one you should sign a contract with. Besides, you need to decide which supplier can provide you with the best overall solution and where do you find the best price ratio? And it doesn’t stop here. Very soon, you will face the cultural and linguistic barriers. Get rid of all these issues by trusting us to support you in all aspects of a successful import from China! You can count on us! Are you considering having goods imported from China? And, in case of a successful start, are you planning to continue importing from China? Together we can find the best acquisition solution! What is our main competitive advantage? We are present in China with our own Chinese team! Bizz2China – Chinese Goods Import and Export – can handle all the steps of the supply chain, from identifying the right product until the final delivery of the goods to the warehouses of our customers. No matter what you are looking after, for sure you can find a very competitive supplier somewhere in China and identifying this supplier is the main target of our people in China. They visit the potential suppliers at their premises and make sure their quality processes are really the ones you need. This job can’t be done remotely, from any Romanian office. Let our experts handle it! 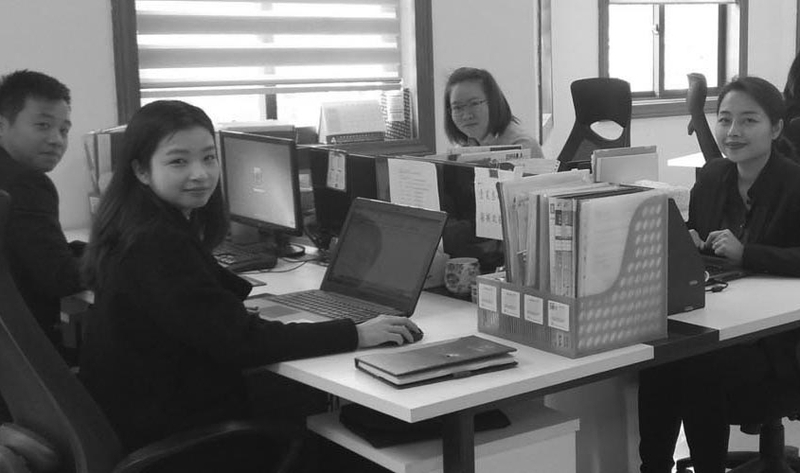 Having our own office in China allows us to solve potential issues in hours instead of days or weeks, clarifying the missunderstandings and avoiding the delays in the supply chain that usually lead to budget overruns. There is nothing like having your own representative on the Chinese ground, looking after your interests and needs. Suppliers do make mistakes. They will try to cover them and the result will be that you will receive goods of lower quality than you would expect. Bizz2China is your guarantee that what you will receive will be exactly what you have ordered and having this assurance means that you will also be able to stay within your initial budget. Five ways that Bizz2China can help you to find the appropriate supplier! Send us all the specifications of your desired goods (materials, time delivery, quantity, etc.). Attach photos, relevant document and any other details, so we can understand as clear as possible what you are looking for. 2. Did you find a supplier yourself? We get the best possible price for you! In many cases, our customers hire us after they already found a supplier. This limits their options, but Bizz2China will support anyway, checking if that specific supplier can be trusted or not. This involves checking the supplier’s credentials and licences and getting in contact with its customers, for referrals. Through this process, we will firstly understand if it is a real manufacturer or just an agent. In case our screening will result in a clearly negative feedback, we will recommend you to give up working with this supplier and looking for a better option. Bizz2China can support you in the negotiations process, can define processes for the quality check, can draw up the contracts and place the order on your behalf. We take pride in the fact that none of our customers have been ever cheated by a supplier. We have built, along the years, a significant database with suppliers that have proved, across years, their reliability. We can now certify their quality and we have good business relationships with them. This gives us great advantages in getting price quotations quickly, in getting competitive prices and a reliable quality of the goods. No matter how complex or customized your project is, Bizz2China will find the right suppliers for you and will also manage the harmonization process, in case your project will need to bring together various suppliers. 5. I already have some experience in importing from China. Can Bizz2China still help me? Bizz2China has a broad experience with importers and there are multiple reasons they use our services. Firstly, the whole process, from negotiations to the approval of the specifications, from signing the contract to managing the logistics, can be very time consuming. Most of the importers choose to work with a partner they can trust and which can take care of all these aspects. This means more time for their core businesses. Secondly, our customers use Bizz2China as an extension of their own companies. No matter what you would do, you cannot replace the physical presence in China of a specialized buyer that represents you and looks after your interests and needs. Manufacturers do make mistakes and it is critical to identify them and eventually solve all the issues that might come up. A very successful partnership! This is how I would define working with Bizz2China. They are a dynamic, flexible team with lots of experience. A single visit to China was enough for us to convince ourselves of the quality of their services and their involvement in our imports from China. The Bizz2China team was very efficient, both in identifying the products we needed and in negotiating the best conditions with the Chinese manufacturer. While for the delivery time, this was actually put in place, which was almost surprising for us. The partnership that we built with Bizz2China, which is still active today, is a truly professional business one, our import processes being really well managed by the dynamic and professional Bizz2China team, both in Romania and China.